Glamour and goodwill will come together on Saturday, October 28 for the third time at the Cell C Playing for Pink Ladies Invitational Polo 2017 which takes place at the exquisite Inanda Club in Sandton, Johannesburg. The annual event, presented by Edith Unlimited, seeks to raise funds for Reach for Recovery in support of breast cancer awareness, while at the same time offering guests an incredible day of sportsmanship, entertainment, high-fashion, retail therapy and pampering. “Part of our role as pillars in our community is to offer our unfailing support to the women of our community who are in need. With one in every 26 women likely to be diagnosed with breast cancer, it is up to us to come together to raise funds for those who do not have access to the support and care required to overcome this disease. The Cell C Playing for Pink Ladies Invitational Polo 2017 gives us a wonderful opportunity to celebrate everything that makes us uniquely feminine, while taking a stand for those who are not in a position to do so because of their illness,” says CEO of Edith Unlimited, Edith Venter. Reach for Recovery is a non-profit organisation facilitating the support and care of newly diagnosed breast cancer patients, those currently undergoing treatment, as well as those in remission. The initiative’s Ditto Project, aimed at helping women from lower income groups to regain their confidence after diagnosis and surgery, will also benefit from the day’s proceedings. 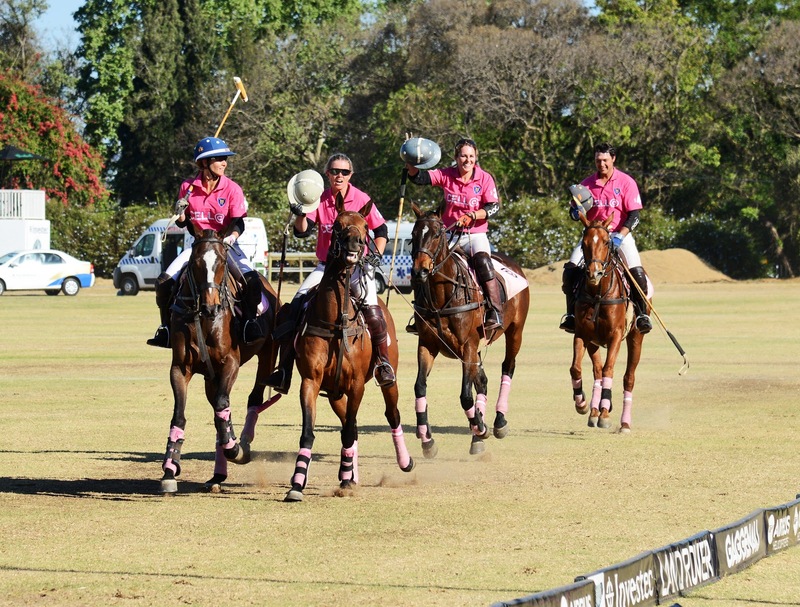 “Our organisation is built on the simple principle that a woman who has endured and survived the trauma of breast cancer will give freely of her time, experience and care to another woman faced with the same diagnosis.The Cell C Playing for Pink Ladies Invitational Polo 2017 proves that in fact this is true of all men and women, and even those whose lives have not been touched by this disease are willing to do what they can in support of women with breast cancer. For this reason, we feel truly honoured to be part of this incredible occasion,” adds Reach for Recovery National Chairperson, Stephane Jacobs. “The Cell C Playing for Pink Ladies Invitational Polo 2017 is in its third tenure and we, as Cell C, are proud sponsors of such an auspicious and elegant event. Cell C’s core focus is women empowerment and an event such as this, is the perfect vehicle to raise awareness and show our support to those women affected by, as well as those victorious, in defeating this disease. We once again look forward to hosting a world-class event in support of a meaningful cause,” concludes Managing Executive of the Cell C Foundation, Suzette van der Merwe. Tickets are available at Ticketpro, with general access starting at R650 per ticket. Visit www.ticketpros.co.za to book your entrance to this truly prestigious occasion. Hospitality packages are also available and can be secured by contacting Edith Unlimited on 011 783 5887 or visiting www.edithunlimited.co.za.